Well, TechField Day did not disappoint! The morning started off running with newcomer Cambium Networks to the WFD Arena with Point to Multipoint technologies, leveraging GPS tech to enhance the experience. Followed up by the new CnPilot product line and the CnMaestro end to end management. Ahmed, Senior Director of Engineering, gives the delegates some real product meat and potatoes so to speak, to sink their teeth into. After the lunch break, we saw the return of Cradlepoint, not seen since Networking Field Day 1. Ken Hosac (VP, Business Development & Dir Product Management) takes us through a brief “what we’ve been up to since then”. With corporate headquarters in Boise ID, “The New Cradlepoint” now employs a staff of 400 and offers a wide range of purpose-built solutions including a 4G-LTE Could-Managed Network Platform. Aside from the juggling of balls, big knifes, and chopping up fresh watermelon. The Cradlepoint team is one to keep a close eye on in this ever-changing LTE environment. Also returning from a short hiatus is Ruckus Networks. GT Hill ‏@GTHill and team bring back that excitement and enthusiasm and detail that we’ve all missed hearing at WFD. 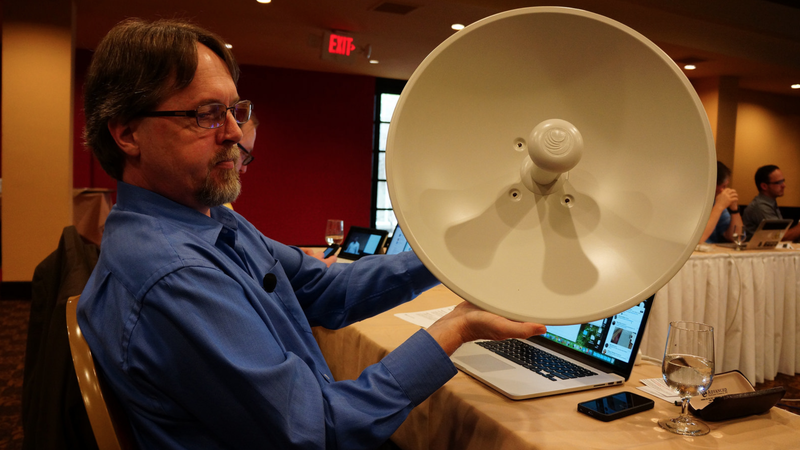 Ruckus knocked it out of the park by impressing WFD Veteran Keith R. Parsons ‏@KeithRParsons, with a real live demo of MU-MIMO Clients. Ruckus never disappoints when it comes to deep dive. 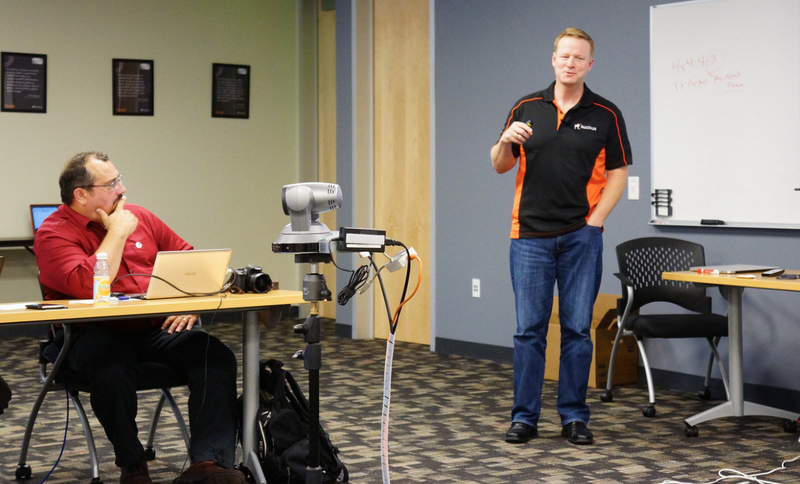 To quote delegate Chris Little “The only problem with @ruckuswireless presentations is that there is so much good info I never have time to take a lot of notes #WFD8“. I couldn’t have said it better myself. Day one session ended with Dave Wright of Ruckus Networks, taking the WFD arena by storm with the hot topic of the day LTE /LTE-U. The LTE discussion is something that I did not expect from any vendor. However, it was a well worth the price of admission. Today’s sessions have really opened up many eyes to “Whats the next big thing?” LTE and WiFi coexistence perhaps? Well, folks its pretty much already here. If you missed today’s sessions, never fear the good people at @TechFieldDay have got you covered.